Blackfriars Circus will consist of 336 new homes as well as proposed shops, cafés and small businesses. 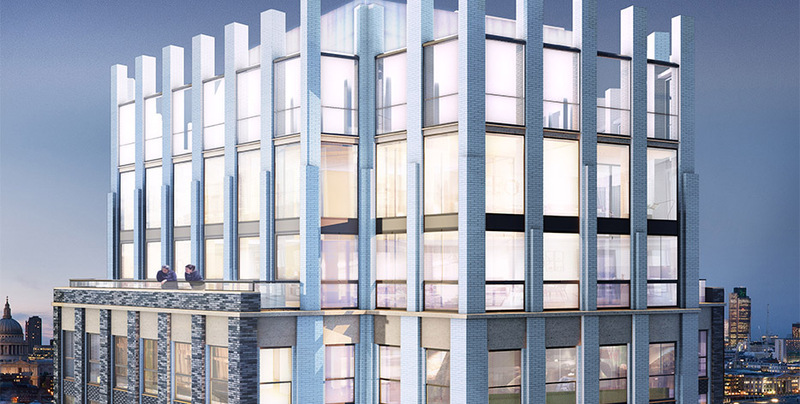 It will create two new public spaces as well as roof gardens for residents. The Conquest Apartment building is a 27-storey Hexagonal tower of 1, 2 and 3 bedroom apartments and penthouses, many with uninterrupted views across the Capital. 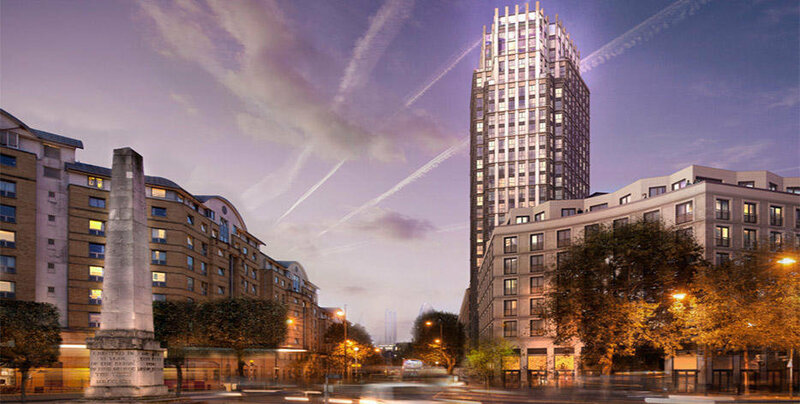 Blackfriars Circus is the quintessence of urban living, offering convenience alongside the thrill of being caught up in the energy of one of the world's greatest cities. Gated parking in the basement takes care of your car, cycle space takes care of our bike; a 24-hour concierge wil take care of deliveries; and if you fancy a workout before work, there's no need to head out: there will be a gym on-site. 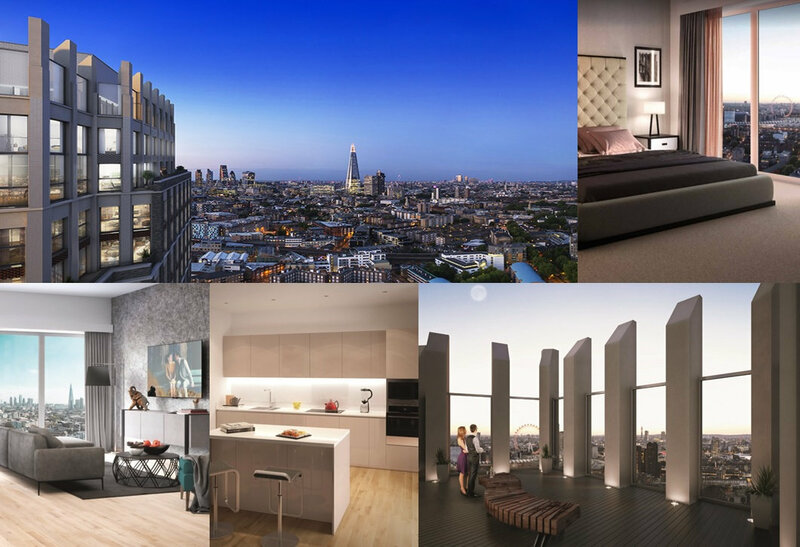 When it comes to making the most of the central location, two rooftop gardens will offer stunning views of the nearby Shard, the London Eye and across the river to St. Paul's and the skyscrapers of the City. Location in London is all about the Thames. Approaching Westminster, the river loops through the centre of the capital right up to Tower Bridge. As every cabbie knows, this makes Southwark the most connected part of London. Pick the right bridge, and you are in Westminster, the West End or The City. Of course, there's no reason why you'd want to cross the river at all. In the last few years, Southwark has established itself as the most dynamic area in zone 1, combining business expansion with its historic backstage vibe: the place where directors, architects and chefs experiment with new forms. Blackfriars Circus is at the centre of all of this. If you're after history, wander west to the Houses of Parliament; for culture, Tate Modern and the National Theatre are to the north; if you're hungry, head east to Borough Market or Maltby Street. In every direction, you'll discover Southwark's charming backstreets, alive with artists, actors and foodies. That's what excites us about the area: it's not just the headline acts - Southwark's a real community right in the middle of London.